Backyard design is a growing trend amongst old and new homeowners alike, it has the amazing ability to give a property a completely new look, or add to the atmosphere of a house. Think about times where you’ve pulled into a friend’s driveway and been overwhelmed with bright flowers, flowing vines, or tall standing statues. 5 Tips Before Moving Your Office! 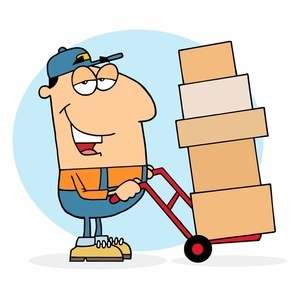 Moving is a unique job that everybody worries about, moving your house sounds like a headache so how about moving your office location?Taking the decision to move your office is one big step, and the next step is to plan ahead to don’t face any possible problems. Are you looking to hire a maid in UAE? Hiring a part/full-Time maid in UAE have never been easier with all the facilities available nowadays with a lot of companies and agencies that make the job easier for you, but a lot of people have doubts about the prices and the visa regulation for hiring one, this small blog will summaries all the requirements and prices. Are you struggling to find a used car in the UAE that suits your style and budget? What if you find your desired car, but still need to check it any hidden damage or exterior damage? That’s normal! Many people around UAE are facing the same issue.If you have no idea where to start from, you are in the right place now. The purpose of this handy guide is to give you some tips and reveal you a little bit of the overwhelming feeling when you think about your moving day. How to find the best maid services in Dubai and UAE? Having a live-in maid or using a maid service is very popular in Dubai. There are many reasons for this; Dubai is a developed busy city and we all are leaving a busy hectic life; there we need an external assistance. As most families that live in Emirates, we find ourselves without any family support or network to help with children, chores and housework. The Big Challenge: How to Get Kids Excited About Moving? As an expat moved my house from my home town South Africa to Dubai in 2008, and have to move my house five times in UAE since then, I enjoyed reading an article on the web and spared some time to update it as per our environment. Are you tired of the color on your car or do you wish for your car not to get scratches? Are you one of the people who love to change and add? If you feel bored whenever you get into your car thinking what can I add to make it look more awesome? The answers are here! Anyone who sees the constant construction in Dubai knows that real estate is one of the biggest markets in the UAE. However, with the rising price of homes and rent many people are looking to move to new places that fit their housing budget. There are many challenges when it comes to moving, especially when you have a family. We all know how hard leaving the ‘familiar’ can be for adults, so imagine what it’s like for kids!